COMPOSITION The active substances - alcohol and quaternary ammonium compound. 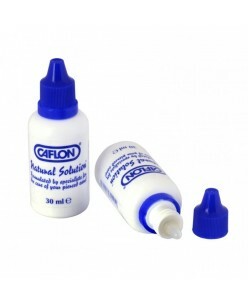 100 g of solution contains 63.0 g of 2 propanol alcohol and 0.025 g benzolkoniumchlorido . FEATURES Colorless , clear liquid product is being prepared for use. 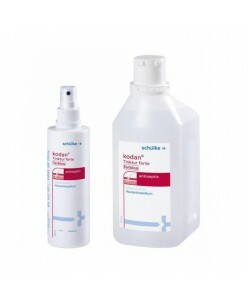 Active against bacteria incl . TB , fungi, and inactivates HBV , HIV , lipophilic ,.. COMPOSITION The active substances - alcohol and quaternary ammonium compound. 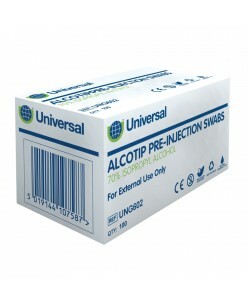 100 g of solution contains 63.0 g of 2 propanol alcohol and 0.025 g benzolkoniumchlorido FEATURES Colorless , clear liquid product is being prepared for use. 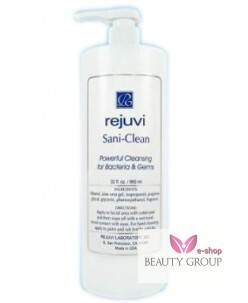 Active against bacteria incl . 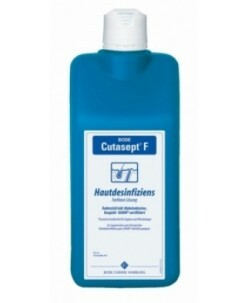 TB , fungi, and inactivates HBV , HIV , lipophilic , R..
Desmanol pure hand disinfection 100 ml. / 500 ml. / 1 l.
Desmanol Pure alcoholic rub for hygienic and surgical hand disinfection, gentle for the skinSchülke Desmanol Pure is a ready-to-use alcoholic rub for hygienic and surgical hand disinfection. Advanteges:-broad spectrum of efficacy (incl. 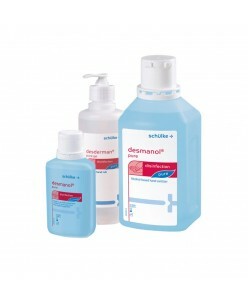 viruses)-with bonus of skin protection and care through an innovative formulation (Dexpa..
Esemtan Wash Lotion, 500 ml. / 1 l.
Esemtan wash lotion Esemtan is a soapfree washing lotion based on particularly skin-mild tensides and natural active and care components. 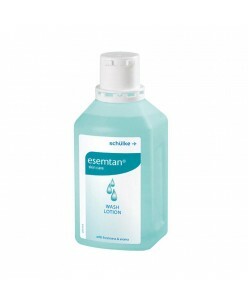 The Esemtan washing lotion maintains the acid mantle of the skin and protects it against drying. The pH neutral washing lotion is not only suitable for cleaning the hands, it ..
IntenZe Tattoo Ink- Cleanze Concrentrate antiseptic- 12oz IntenZe Cleanze provides every tattoo artist with a comfortable client as well as a clean non irritated skin to work on. You will not find a safer, more sterile or higher quality tattoo product elsewhere. 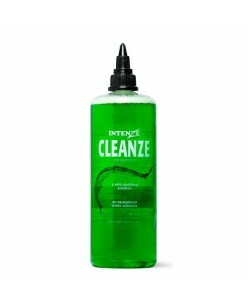 Intenze Cleanze is an alcohol free antiseptic, just apply IntenZ..
Kodan Tinktur Forte 250ml. / 1l. Kodan Tinktur Forte 250ml. 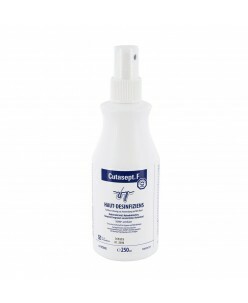 / 1l.Kodan Tinktur Forte spray is a ready-to-use product that can be applied for skin antisepsis prior to injections, punctures and surgical operations. 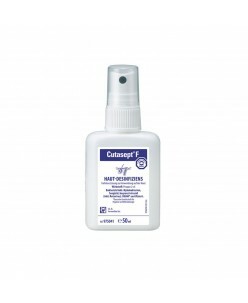 The clear, propanol-based skin antiseptic not only boasts a quick activation time, but it is also very compatible with skin. 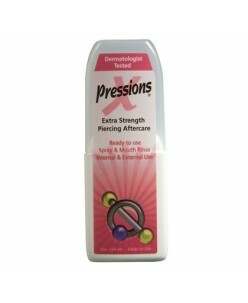 Product DetailsClear..
Prep Stuff is for prepping the skin prior to tattooing! It kills 99.9% of germs and microbes including staph without removing vital skin oils! Using Prep Stuff before applying your tattoo stencil will hold your stencil on even better and can also be used as a stencil remover! If you're not happy with the placement of your T..
Tattoo Goo X-pressions Spray Has been specially developed for the hygiene and protection of your piercing, containing antibacterial and antimicrobial properties this spray keeps your external piercings clean and protected. Anti Bacterial Anti-Microbial Anti-Inflammatory Reduces Scarring Oral/Dermal Use Qua..
Dettol antiseptic and disinfectant (500ml.) 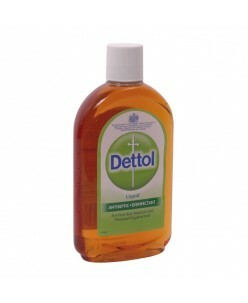 Dettol is used by professional tattooists and piercers to maintain an element of health and safety in the studio. 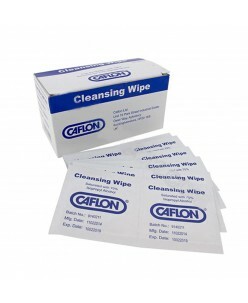 It is commonly used for cleaning the skin, applying first aid and for medical and personal hygiene. 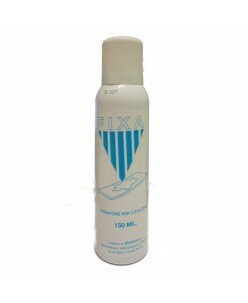 The liquid contains Chloroxylenol which is used to kill bacteria and ..
Spray Fissatore (150ml. )Fix cytologic droplets on the slides ensuring a long storage.Composition: Isopropyl alcohol, Polyethylene glycol.Spray quickly for 3-4 seconds on the slide before the material taken for air dry scrubbing. ..